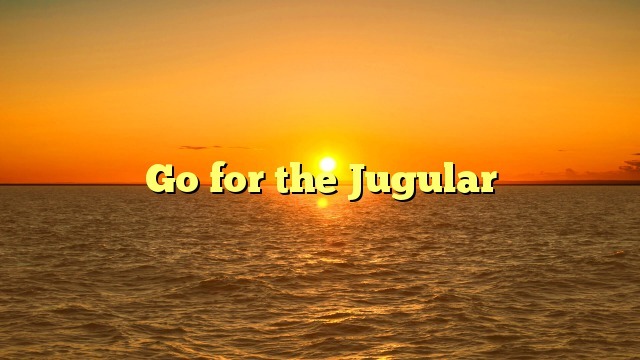 What does the idiom “go for the jugular” mean? Example: There was no politeness in the candidates’ debate—both went for the jugular from the very first question. Note: The jugular vein is a large blood vessel in the neck. When animals attack each other, they may attempt to attack this vein.